Halloween is just around the corner and we all know that our students get SO EXCITED when it arrives! 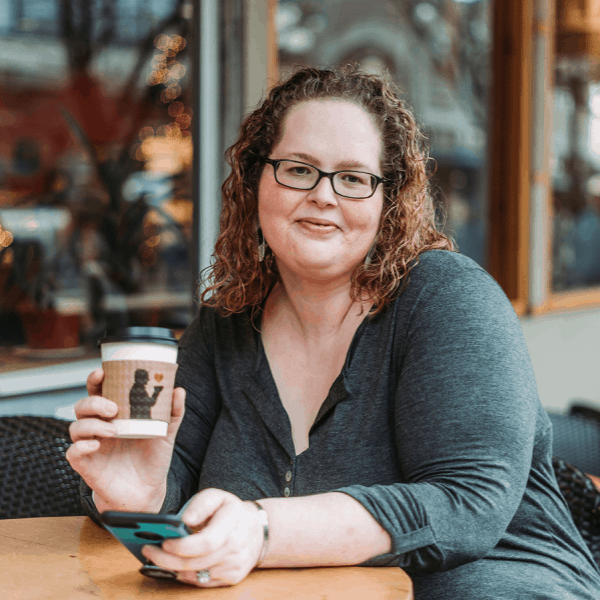 Long gone are the days when we get to do much celebrating in the classroom but that doesn’t mean that we can’t do a fun activity to make the day a little less crazy! 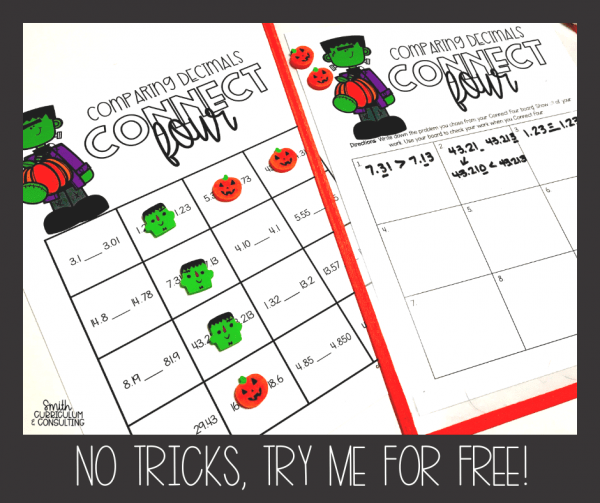 I’ve created a FREE Halloween Math activity just for you! Frank has come to visit to make things fun while also doing some great practice at the same time! For my Fourth and Fifth Grade Friends, and even my Sixth Grade friends, I have a Comparing Decimals Connect Four for you to use! It has a Connect Four board, a recording sheet, a how-to sheet and even chips that you can use if you don’t have the Target Dollar Spot erasers! All of the activities are available in color and black and white. And for my Seventh and Eighth Grade friends I have another Free Halloween Activity for you and that is Connect Four Two Step Equations. Just as the other it has a Connect Four board, a recording sheet, a how-to sheet and even chips that you can use if you don’t have the Target Dollar Spot erasers! All of the activities are available in color and black and white. 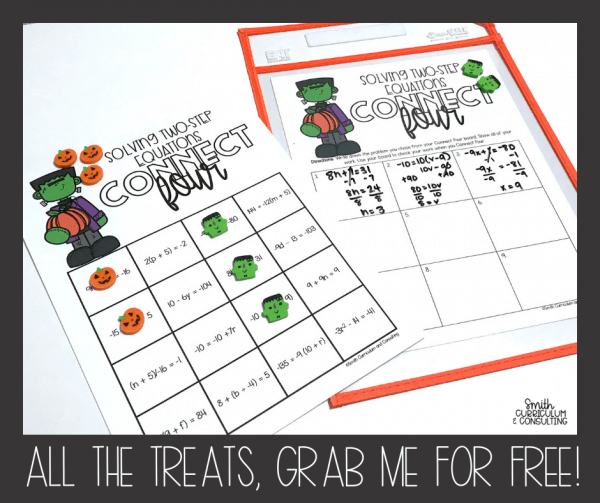 So don’t let the excitement of the holiday get you flustered, join in with this free halloween activity and make the most of it while still getting your math on! 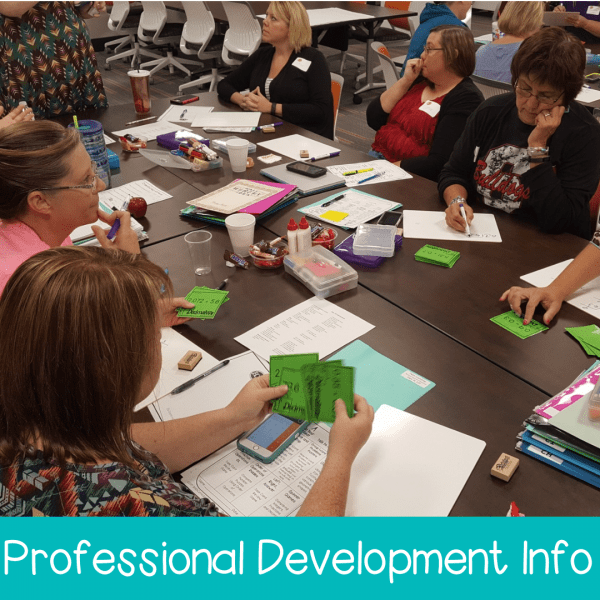 And if your students like this and are interested in other Connect Four activities go ahead and check them out. 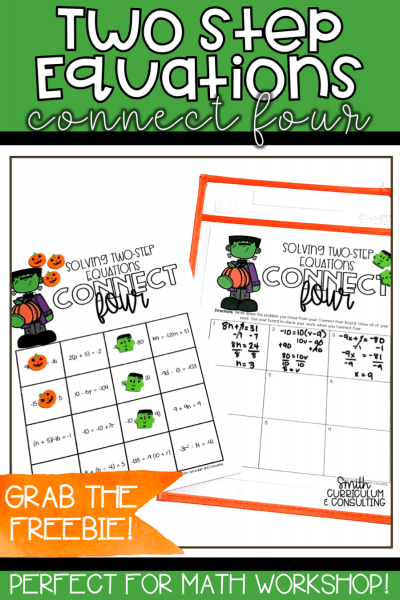 Each of the Connect Fours come with four different boards that build in complexity to allow for differentiation within your Math Workshop stations.